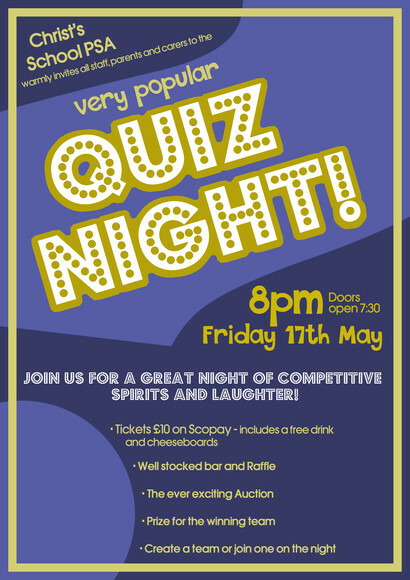 Back by popular demand, the Christ's School quiz is being held on Friday 17 May 2019, doors open at 7.30pm in the school drama hall. This is always a fun and enjoyable evening. Teams will consist of 8-10 people and you are welcome to form your own team, come in a smaller group, or on your own - you will soon be part of a team. Tickets are £10 and includes a drink and cheese boards. Please pay via SCOPAY and bring a copy of your receipt on the night.